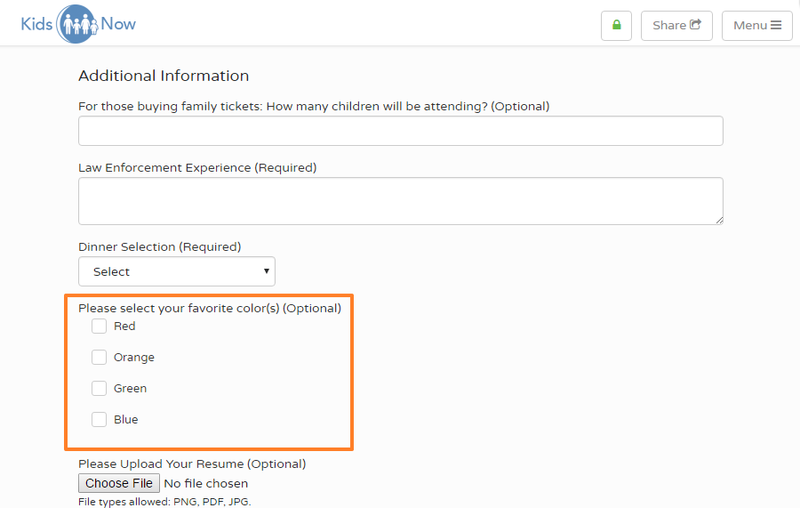 When creating a Custom Field, you will need to select the Input Type, which is the space where your supporter will fill out their response. There are five Input Types: Short Answer, Long Answer, Multiple Choice, File Upload, and Calendar Input. 1. Short Answer will provide your supporter with a text box to type in their response. 2. Long Answer will provide your supporter with a larger text box to type in their open-ended response. 3. Multiple Choice allows you to pre-set responses. 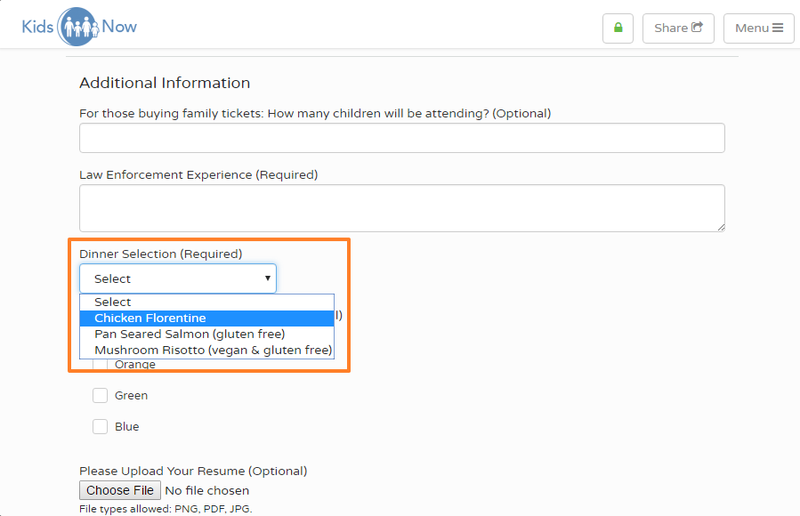 This will create a drop-down menu where they can select their choice. 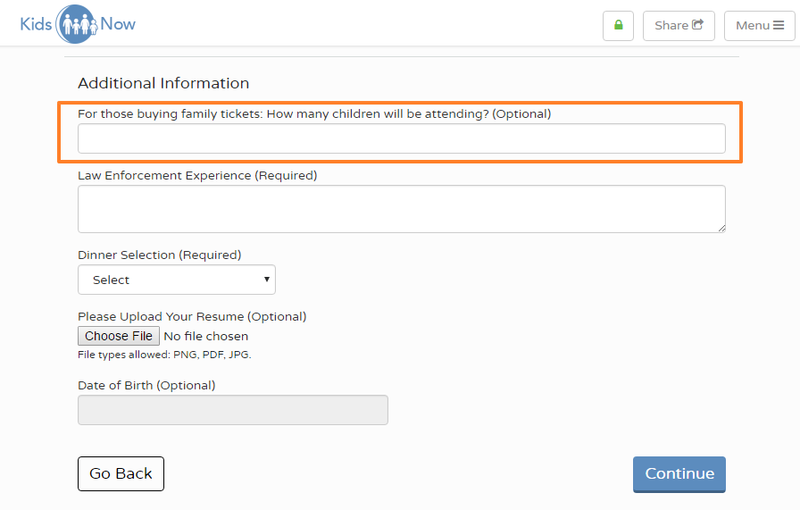 You can add up to 150 multiple choice selections. 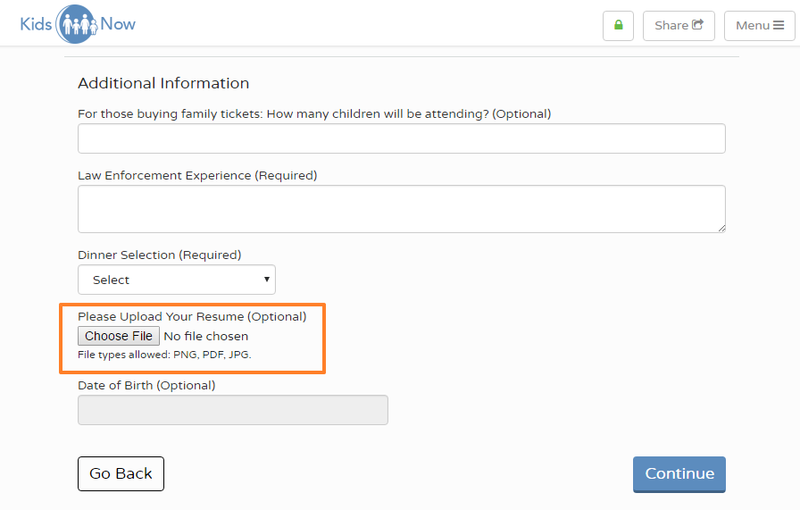 You can also give your supporters the option to select more than one pre-defined response, and this will instead create a list of checkboxes. They can check as many of these as are available. 4. If you would like to collect a file digitally; such as a signed form, a copy of an ID, or a business logo; you can use the File Upload option to collect that information. (Files uploaded are accessible in your reports as links which will initiate a download of the file when clicked on). 5. 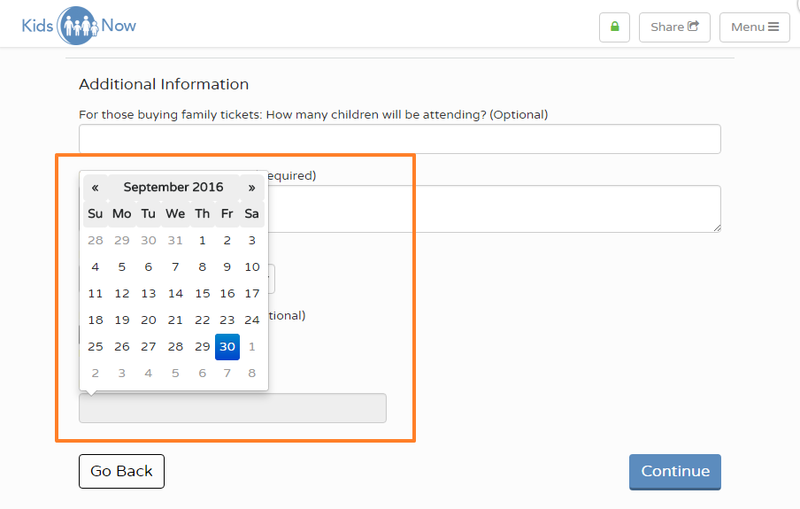 Calendar Input will allow your supporter to select a date as their response.